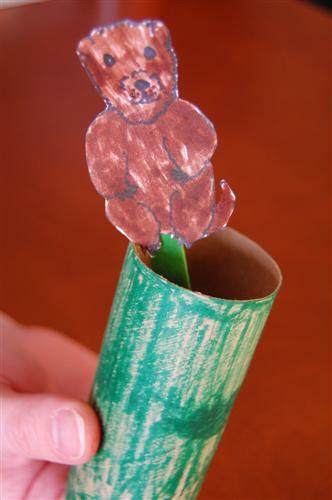 This is a simple craft using a toilet paper tube to make a groundhog puppet. Print off picture of groundhog or draw your own. 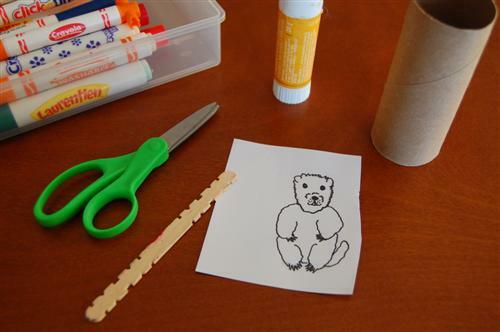 Cut out the groundhog picture and glue it to the popsicle stick leaving some of the stick hanging down from the bottom of the picture. 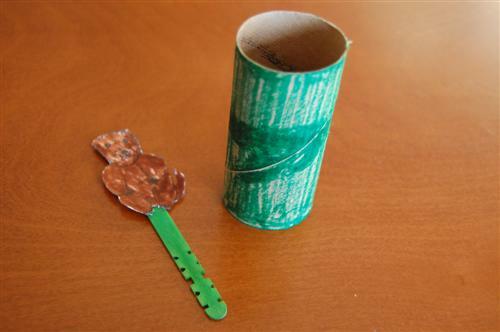 Colour the toilet tube to make the groundhog a hole to jump out of. Insert groundhog puppet into the tube and let him jump out to look for his shadow!